Gaea Hock is part of an interdisciplinary team awarded a National Science Foundation grant to train graduate students to help communities address complex issues of water management and rural vitality. Melanie Derby, K-State assistant professor of mechanical and nuclear engineering and Hal and Mary Siegele Professor of Engineering, leads the team. 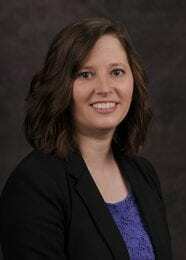 Derby will help meet these challenges by training students to work at the nexus of several disciplines. 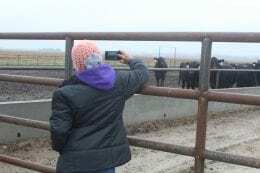 Derby and her colleagues will mentor graduate students as they conduct fundamental research in three areas of the crucial food-energy-water system: conservation of and producer relationships with the Ogallala Aquifer, soil-water-microbial systems, and technologies to transform animal waste into energy and water. 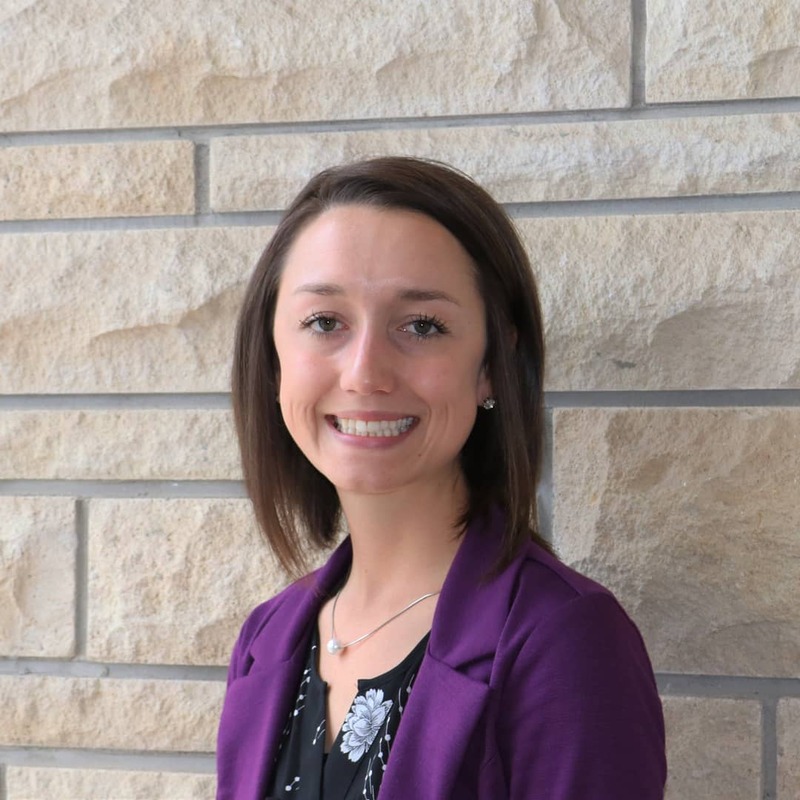 They also will work to understand engineering, economic, and sociocultural barriers to implementing emerging innovations. 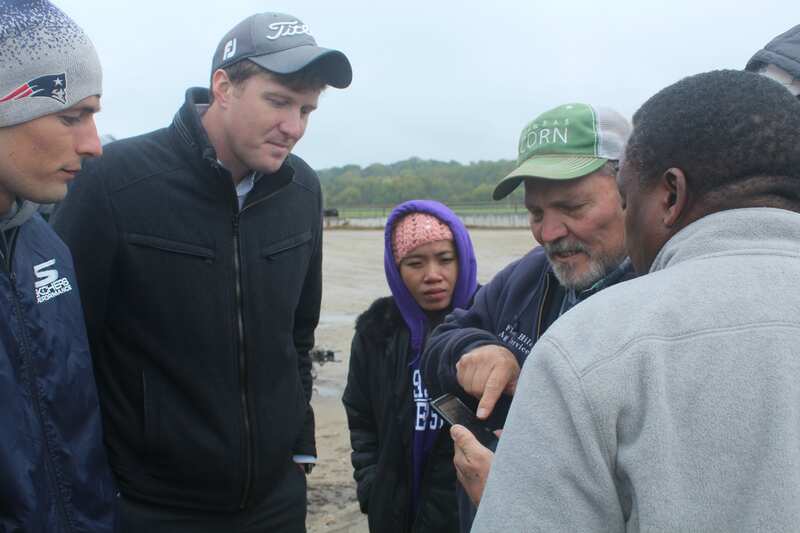 Building communication skills and a common vocabulary across disciplines is a crucial aspect of the training. Students will engage with policymakers and attend state legislative sessions in Topeka, plus they will spend time at the Southwest Research-Extension Center in Garden City to research smart water technologies and meet with farmers and others whose livelihoods depend on conserving the aquifer and other resources. 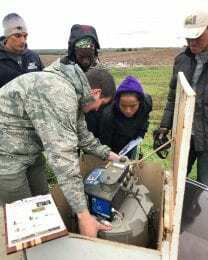 In addition to Derby and Matt Sanderson (co-principal investigator and the Randall C. Hill Distinguished Professor of Sociology), the team includes co-investigators Jonathan Aguilar and Stacy Hutchinson, biological and agricultural engineering; Prathap Parameswaran, civil engineering; and David Steward, civil and environmental engineering department, North Dakota State University; educational lead Gaea Hock ’03, ’06, communications and agricultural education; and advisors Nathan Hendricks, agricultural economics, and Ryan Hansen, chemical engineering. 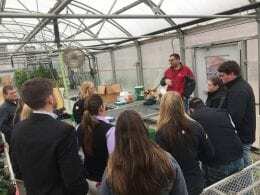 The program will train 50 master’s and doctoral students, including 25 funded trainees from the colleges of Agriculture, Arts and Sciences, and Engineering. 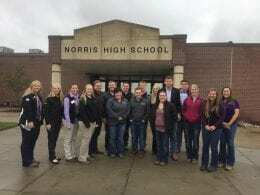 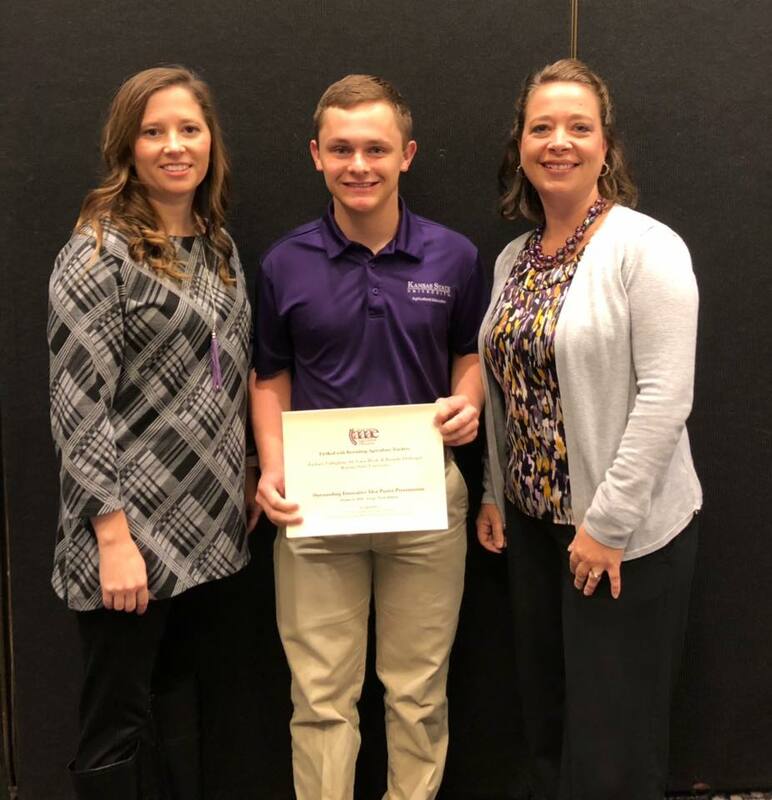 Eric Koehlmoos, K-State Agricultural Education Club president, planned a fun and educational trip to visit high schools in Nebraska on October 12. 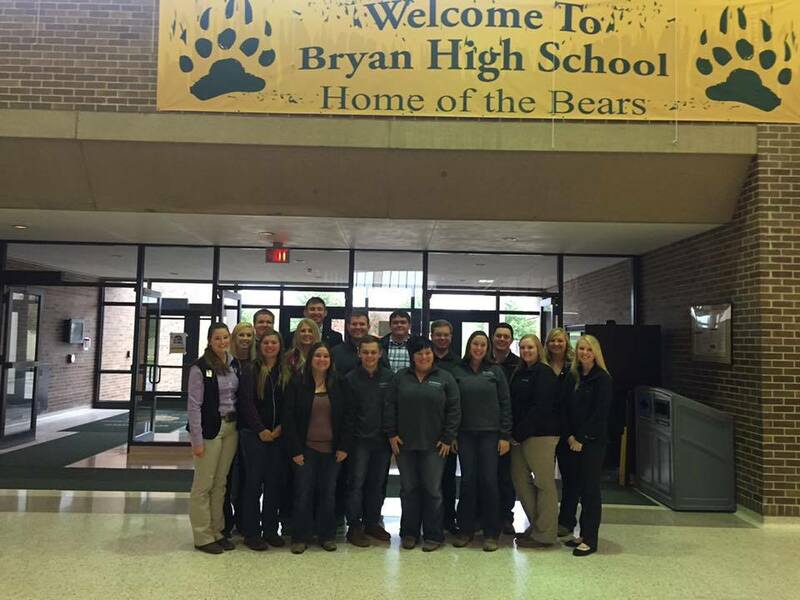 Twenty club members toured Bryan High School, the only high school in the Omaha public school district with an agriculture and FFA program. 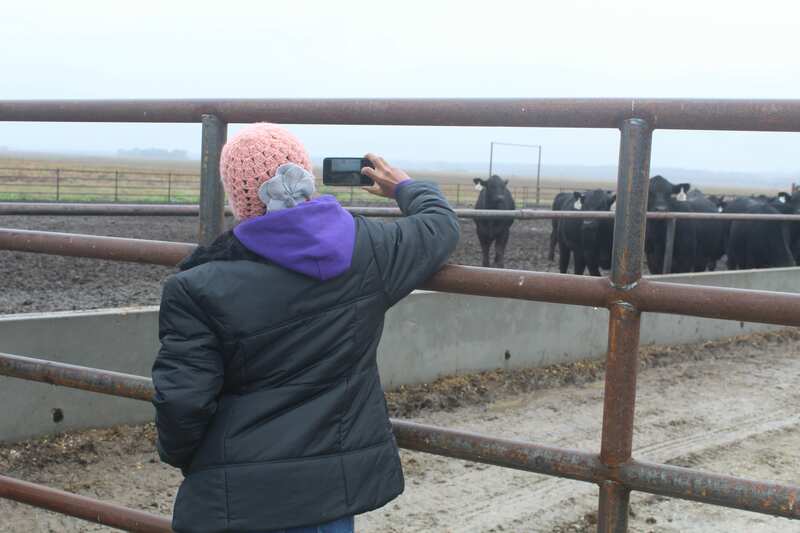 The group also stopped by Waverly High School and learned about their tradition-rich program. 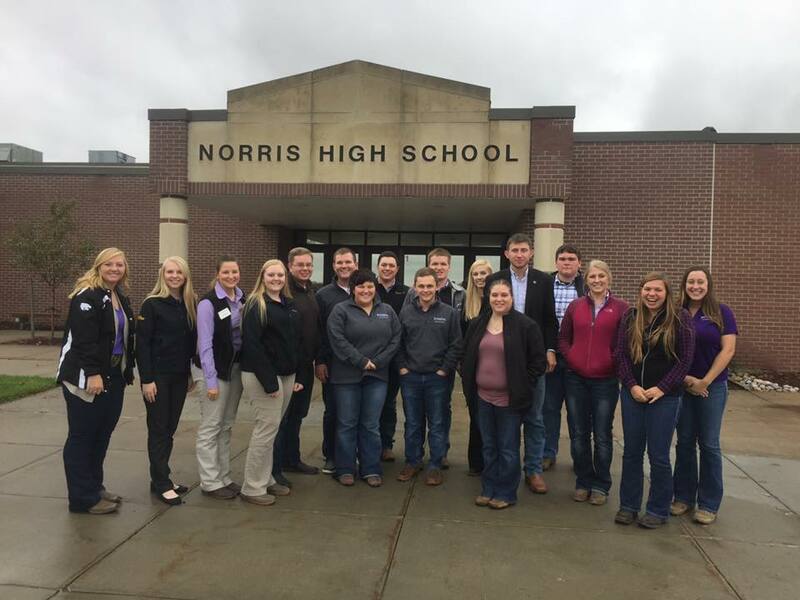 Finally, the club toured Norris High School and saw its 110-acre land lab, as well as its 50-acre range lab. 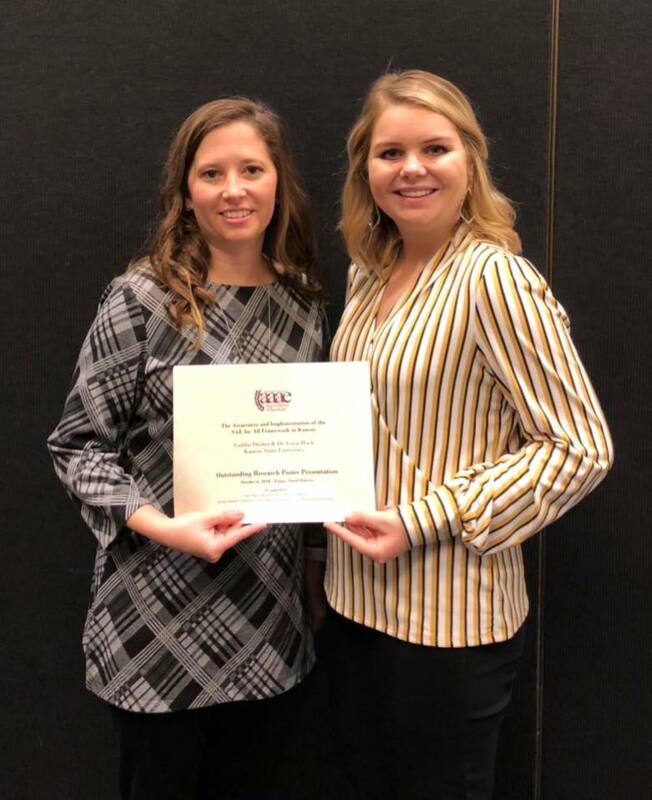 Gaea, along with Jon Ulmer, Brandie Disberger ’01, ’03, and students Caitlin Dreher and Zachary Callaghan (juniors in agricultural education) also attended the North Central Region AAAE Conference in Fargo, North Dakota, Oct. 4–6. Callaghan and Hock presented their paper: “Benefits, Barriers, and Impact of the Kansas FFA Affiliate Fee Program.